We did it again. The Emancipation committee of Bermuda who work under the banner of Community and Cultural Affairs under the director ship of Mrs. Heather Whalen Senior Community and Cultural Affairs Officer with her committee consisting of Mrs. Louise Tannock, Dr. Kim Dismont Robinson, Mrs. Shirley Pearman, Mrs. Maxine Esdaille, Mrs. Joy Wilson-Tucker, Mrs. Valerie Dill, Ms. Nicole Stovell, Mr. Quinton Sherlock and Dr. Randell Tankard. Assistants Ms. Renee’Thomas and Juanae Crockwell can stand tall and proud. On Tuesday 31st. July at 7.00pm an outstanding programme was held at Sandys Secondary Middle School Amphitheatre. There we held a ceremony honouring community heroes. The setting was perfect as we highlighted and recognized the Trail of our people. We acknowledged Persons who gave of their all many times under trying circumstances without looking for mega returns. The printed programme which carried the beautiful design of the Emancipation symbol gave brief biographies of the honourees complied by Ms. Meredith Ebbin and Lance Furbert. The objective of the programme was not just to celebrate the freedom of the black people so many years ago but to show the Social Dynamics of Self Reliance of our people and that we did. The Master of Ceremony was Mr. Gary Phillips and Mistress of Ceremony Mrs. Tina Evans Caines. Artistic Director and Producer Amir X. Opening remarks by the Hon. Patrice K. Minors JP,MP Minister of Economy, Trade and Industry started the night with her opening remarks. Dignitaries and members present than prepared for need I say just another Cultural event. What a surprise! Outstanding solos by Ms. Toni Robinson and Mrs. Madree Musson along with dance performances Choreographed by Mr. Eric Bean Jr.and Bermuuda Donquili left little to be desire with precision of movement which warmed the heart and pleasured the souls of all in attendance. As we were taken back in time to the song of I want Jesus to Walk With Me, and Gospel Train scrolls were rolled out of notable Organizations and groups etc. Sandy’s Secondary School –founders.. Somerset Cricket Club— founders, St. George’s Cricket Club —founders, HM Dockyard Apprentices and The Progressive Group. The flow of honourees continued with 18 other person being honoured for their contributions to their community and country each being escorted by models dressed in African attire. The sense of pride showed on each face and family members in attendance were eager to show their connection by showing the solid support as family member representatives were led to see the scrolls unfolded. To cap of the night was the Warwick Gombey troupe drumming a tribute in an outstanding Ceremonial Indian War dance it was a wonderful change and heart-warming to see our young warriors doing much more than the traditional Gombey dance bringing the evening to a close. I personally thought we had out done our selves last year July 2011 when we gathered on Union Square and hosted exhibits and educational tents and arts taking us through the African roots and paths of our Ancestors . 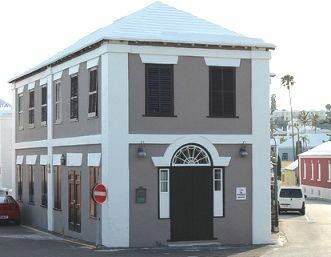 Where the Bermuda Friendly Society Association played an important role in 7 lodges with their exhibits highlighting the footsteps of freedom from Africa to the shores of Bermuda. So impressive was this effort that we were asked to do a repeat for Labour Day held on September 2011. and we readily worked with the Labour Day Committe to host another impressive event. Have we out done ourselves? I think not. Stay tuned there is much more to come. Where our history and Culture is concerned our objective is always to educate our people and what better way to do this than to continue each year to acknowledge , highlight and teach those who are interested in learning about the history and accomplishments of our people, our Ancestors . 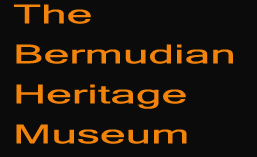 They are indeed the wind beneath our wings and the reasons we should all be PROUD TO BE BERMUDIAN.